Dad and I spent a hot summer day sitting in my ‘51 Mercury at the Livingston, New Jersey, drive-in theater in 1961. Hundreds of cars were being inspected…and my radiator boiled over. Photos by the author except where noted. State inspections were among my most horrible — and memorable — car experiences. Take my first inspection as a newly licensed driver. It was 95 degrees at the Livingston Drive-In Theater in June 1961. 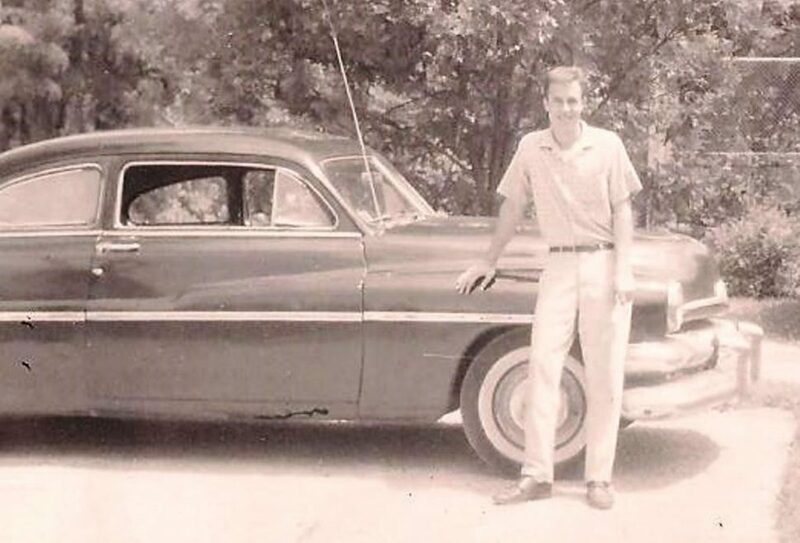 As Dad and I sat in my ’51 Mercury, which anchored a 100-car line stretching to the highway, I fretted over my mufflers. Their rumble was music to my ears but deadly to inspectors who needed only the slightest excuse to fail a car. Ninety-minutes later, the car’s temperature gauge was above the high mark and I heard “gurgling” sounds from the radiator. The flathead V-8’s thermostat was worn out and I was in trouble. Would the radiator cap hold hot-water pressure until the car was inspected? Dad’s temper rose as fast as steam billowed from the hood. He had given up his Saturday to be with his green-behind-the-ears son. 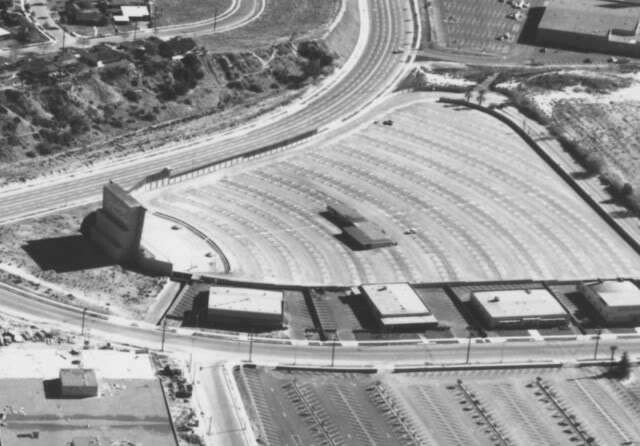 The enormous drive-in theater, recently opened, was new to him…but not to me, as I had taken a date there to do some submarine race-watching. My Mercury’s flathead V-8 had vapor lock and steam poured from the radiator cap. A state vehicle inspector blew his whistle and yelled, “Move to the sidelines, boy!” Photo via Cinema Treasures. “You’re going to get vapor lock, Jim, if you don’t shut off the motor,” Dad warned. “But if I shut it off, I won’t be able to start it again,” I argued. “Then turn on the heater and let’s see if that helps,” he advised. I had never heard of this technique to cool an overheated radiator, but I did as instructed. To our relief, the temperature needle dropped. But it rose again five minutes later and the engine sputtered, only to die in a fit of coughs and gasps. We were gasping, too, as the car’s interior soared above 100 degrees. We did as ordered, Dad pushing from the rear and I steering with one arm inside the front window. Walking around and watching the line get longer, we waited perhaps an hour for the radiator to cool so I could remove the cap. A Good Samaritan provided a jug and I found a faucet. The radiator filled, it was time to start again at the back of the line. My teen brain was slow but not stupid, and I came up with a strategy. “I’ll avoid overheating by occasionally turning off and restarting the engine,” I told Dad, who frowned. “What if you kill the battery?” he asked. I told him not to worry as we inched forward and the afternoon sun got hotter. Another hour passed and I noticed the engine took longer to start. Then it wouldn’t fire up…the battery, as Dad predicted, was dead. “Get out of line, boy!” the inspector hollered again, looking angrier than before. Maybe it was my imagination, but I thought I saw someone a few cars back displaying my I.Q. with his finger. “What are you going to do, son?” Dad asked, after we pushed the Mercury out of line. He didn’t know it, but I was ready this time. Opening the trunk, I retrieved a spare emergency battery. Fifteen minutes later, I had installed it and we drove to the end of the line. Photo courtesy Bob Hoyt collection. It was late afternoon now and cooler. The Mercury was running well as we approached the inspection station, an ugly brick building where cars were put under a microscope by old men who didn’t smile and silently mouthed curse words. When we finally entered the building, only 15 minutes remained on the clock before closing time. Inspectors were hot and exhausted. They wanted to go home more than I did. Pushing hard to get my car through as fast as possible, they ran the usual tests — lights, signals, wipers, horn, brakes, etc. — with purpose and sloppy speed. This was before emissions tests and the final hurdle was an exhaust pipe examination. “Rev it up, boy?” an inspector hollered. “I want to hear those pipes.” My heart sank. I’d fail if I did as ordered. So I gently blipped the throttle, glasspacks sounding soft and sweet with just a little smoke. “No!” he bellowed. “Give it the gas, kid!” I blipped the throttle again. “More!” he yelled. This time I obeyed, the Mercury roared and the inspector was enveloped in a blue cloud. “Did I pass?” I asked after he finished making notations on his clipboard and walked to the car window. He glued a sticker to my window and asked a question. “You got glasspacks?” he said, smiling. I returned his smile, put it in gear, and Dad and I were gone. 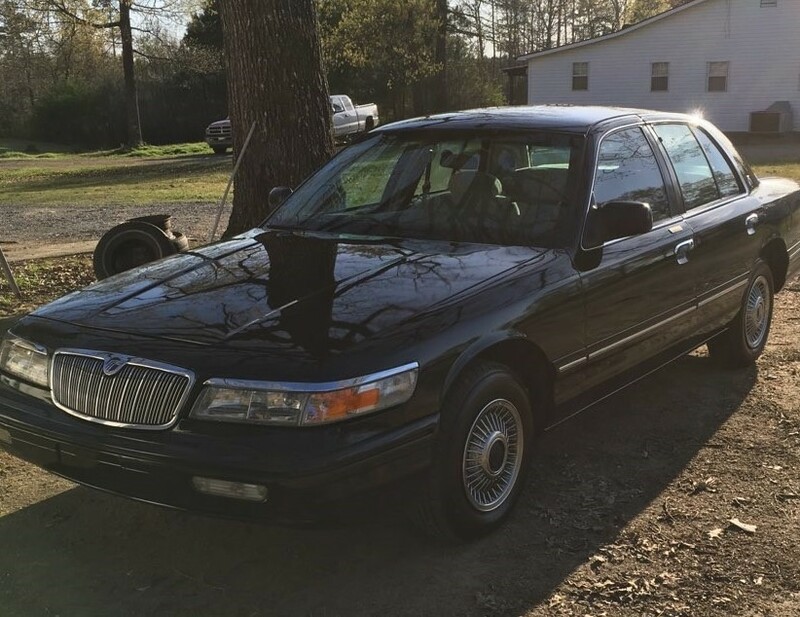 My ride 45 years later was a black 1996 Mercury Grand Marquis. It wasn’t cool like the “James Dean” ’51 model, but it had a V-8, automatic and four doors…perfect for hauling groceries and grandkids. My ’96 Mercury had lots of “issues” that demanded creativity when it was inspection time. Although we grew up in New Jersey, my wife, Grace, and I were Texans now and enjoyed living where cowboys and pickup trucks ruled. As we learned, however, we were still obligated to do yearly car inspections. The Texas version was just as stringent as what we left behind. Waiting in a short line at a quick-oil-change station, I wondered if my 100,000-mile Mercury would get by the computers that probed inside the engine, as well as eagle-eyed inspectors who didn’t miss anything. Despite its high mileage, the car was in much better shape than my first Mercury. It had been well cared for since purchased new. This wasn’t new to me. I had brought back cars for second and third inspections dozens of times in New Jersey. There was the time my headlight dimmer switch was balky. A ball-hitch partially blocked the license plate and had to be removed. Headlights often were out of adjustment…or a taillight bulb was dead…or windshield wipers were worn…or the dashboard gear selector wasn’t properly aligned…or windows were dirty…or decals obstructed vision…or tires were underinflated…or you name it. 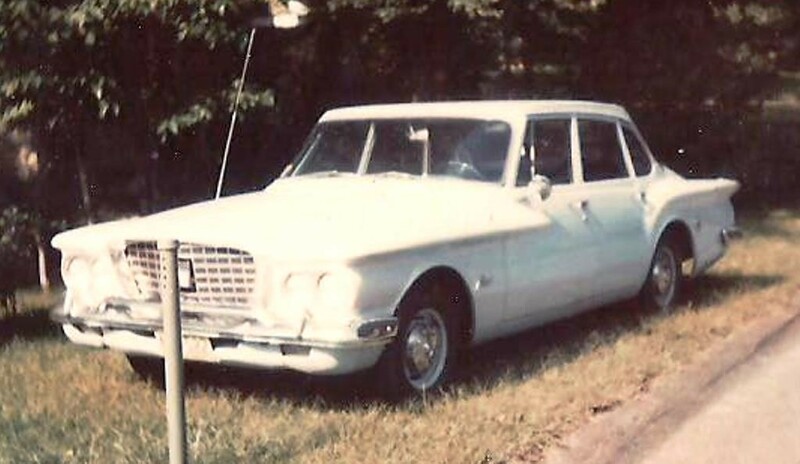 Our 1961 Plymouth Valiant failed New Jersey’s car inspection because a trailer-hitch ball partially obscured license plate numbers. I failed car inspections dozens of times. My friend explained that the car was air-cooled and air moved from the engine fan in the back. The inspector gave him a contemptuous look and said, “Yeah, if you want to endanger your family…” Then he flunked the VW because a bolt holding on the license plate was missing. “How much will it cost to replace the catalytic converters?” I asked a Mercury dealer’s repair manager. “You got two of them,” he said, “and parts and labor will cost around $1,000…perhaps a little more.” My argument that I couldn’t sell the car for that much went unheard. The local auto repair shop wasn’t any better, wanting $850 for the job. There must be a cheaper way, I reasoned. New Jersey vehicle inspectors failed “Ramby,” my ’63 Rambler, for a high-beam dimmer switch that stuck in either high or low position. There was always something that brought me back. About this time, I noticed the dashboard “idiot light” was on. Now what do I do? Doing as suggested, I drove to the inspection station and watched the young man connect his computer to the engine. “I can’t get any reading at all…no codes or anything,” he said, with an accusatory tone. “What happened?” Mysteriously, a minute later, his computer started picking up engine vibes and codes. “It’s all right now. Did you replace the ‘cats’”? Using the same procedure for several years, the Mercury always passed inspection with flying colors. But I did have a problem with the gas cap. Going to the dealer to have this done isn’t required today. Many auto stores will read your codes and determine any issues for free. But I didn’t know this then and stupidly visited the dealer. A few hours later, a smiling service technician gave me a printed readout showing all the tests he had done. How much did that cost?” I asked. “We charged $110 for the diagnostic test and $24 for the gas cap,” he replied. I had been taken. To think, the solution was a $10 gas cap. That’s about how much I paid for my first auto inspection in 1961. Today, they cost about $75. But at least I get a free car wash. I gave the Mercury to my son-in-law, who never had a problem with emissions tests, catalytic converters or gas caps. He lives in Arkansas where they don’t have inspections. He’s put about 250,000 miles on my old car, which hasn’t seen an inspection station in more than a decade. Maybe I’ll move to Arkansas.